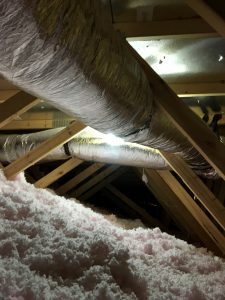 Most homes in the area rely on centralized heating and air conditioning systems, which in turn depend on a series of ducts traveling through your home’s walls and attic to work. Conditioned air–either hot or cold–is pushed into the ducts from the central unit, emerging from a series of vents to change the temperature of the entire household. Ducts are inexpensive and reliable, which makes them a valuable part of keeping your home comfortable. But like any other appliance, they can run into trouble from time to time. Thankfully, the same people who handle problems with your HVAC system can be summoned to deal with duct problems as well.